Business owners and salespeople — come network with other like-minded business owners and salespeople. 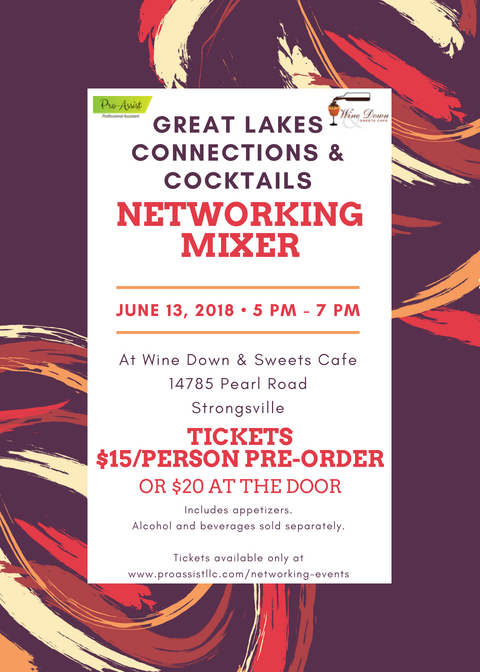 Grab some apps (included in ticket price) and drinks (sold separately), and make some valuable connections that will help grow your business. Come for the whole two hours, or just stop by! 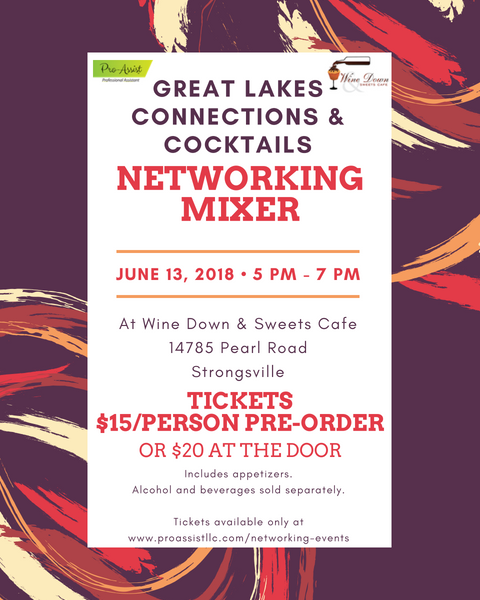 Purchase your ticket online for $15/ticket online at www.proassistllc.com/networking-events or at the door for $20/ticket. Message me, call me (440-724-8236), or e-mail me (brittany@proassistllc.com) with any questions!